(Rick Egan | The Salt Lake Tribune) Police search for a gunman near Red Butte Garden on the University of Utah campus Monday, Oct. 30, 2017. (Rick Egan | The Salt Lake Tribune) Police search for a gunman near Red Butte Garden on the University of Utah campus Monday, Oct. 30, 2017. (Rick Egan | The Salt Lake Tribune) Police officers move into position, as they search for an active shooter on the University of Utah campus, near Red Butte Garden, in Salt Lake City, Monday, October 30, 2017. (Rick Egan | The Salt Lake Tribune) Police search for a gunman near Red Butte Garden on the University of Utah campus Monday, Oct. 30, 2017. (Rick Egan | The Salt Lake Tribune) Police search for a gunman near Red Butte Garden on the University of Utah campus Monday, Oct. 30, 2017. (Rick Egan | The Salt Lake Tribune) Police search for a gunman near Red Butte Garden on the University of Utah campus Monday, Oct. 30, 2017. (Rick Egan | The Salt Lake Tribune) Police search for a gunman near Red Butte Garden on the University of Utah campus Monday, Oct. 30, 2017. (Rick Egan | The Salt Lake Tribune) Police search for a gunman near Red Butte Garden on the University of Utah campus Monday, Oct. 30, 2017. One person is dead and an armed suspect remained on the loose after a carjacking and fatal shooting at the University of Utah that put the campus on lockdown several hours into early Tuesday morning. 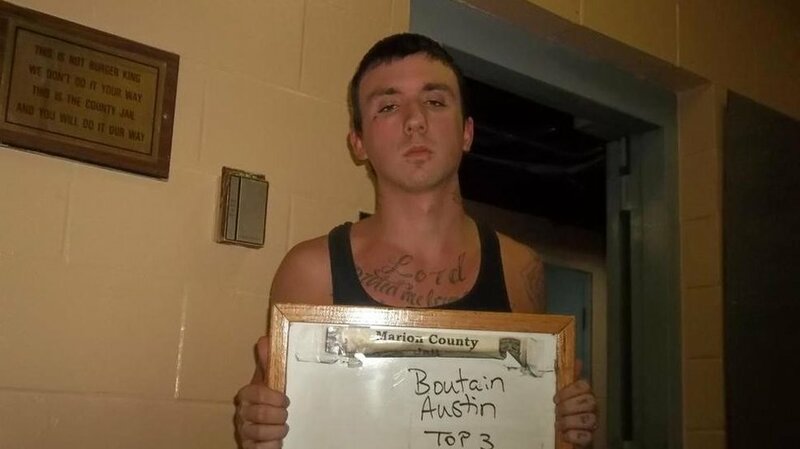 Police were still searching for 24-year-old Austin J. Boutain, described as a white male with a tear drop tattoo on his face, as well as tattoos on his neck and an arm. He was last seen wearing black clothing and a beanie-style cap. Meanwhile, University authorities on Tuesday morning identified the deceased carjacking victim as ChenWei Guo, a 23-year-old international student at the U. They would not say whether he was alone in the vehicle. School officials announced they would hold a 10 a.m. news conference about the shooting. Boutain reportedly has family in Minnesota and as recently as 2015 lived in the Cincinnati suburb of Millvale, in Ohio, according to Fox 19 TV. The station notes that he entered a guilty plea in May 2015 to “obstructing official business” in exchange for a disorderly conduct count being dismissed. Fox 19 reports that Boutain had been accused of fleeing police in connection with an otherwise unspecified disturbance at Cincinnati’s Good Samaritan Hospital. In Utah, the hunt for Boutain initially focused on an area east of Mario Capecchi Drive. That area of campus — which includes the school’s main residence halls, medical complex and research buildings — was locked down until about 3 a.m.
About 8:15 p.m. Monday, a woman came to the campus and reported that her husband had assaulted her while they were camping in Red Butte Canyon, University of Utah Police Chief Dale Brophy said. While she was being treated for an unspecified injury just before 9 p.m., Brophy said, the woman’s husband killed a person in a carjacking at the mouth of the canyon. Anyone with information about Boutain, including his potential whereabouts, is asked to call 801-799-3000. At least eight agencies — and hundreds of officers — from across the valley responded to the scene, including the FBI. The search was being conducted on foot and via helicopter. Authorities believe the suspect is in the foothills above Red Butte Canyon, but they continue to search the campus. Traffic was blocked off near the area Monday, and Utah Transit Authority trains and buses were not proceeding east of the stadium station at the west side of campus. Police scoured the Red Butte foothills and planned to keep the canyon closed off through Tuesday. The campus part of the lockdown ended just before 3 a.m., U. police said. Classes were canceled for Tuesday, but facilities and services were open. CAMPUS ALERT: Secure-in-place lifted for all campus. Classes cancelled Oct. 31. Facilities & services remain open. Further info in email. U. President David Pershing released a letter early Tuesday about the shooting, in which he talked about Guo. “We have canceled classes today in respect of ChenWei and the impact this violent event has had on our campus community. ChenWei was a pre-computer science major with a promising future and worked as a peer advisor in our International Student and Scholar Services Office,” Pershing wrote. 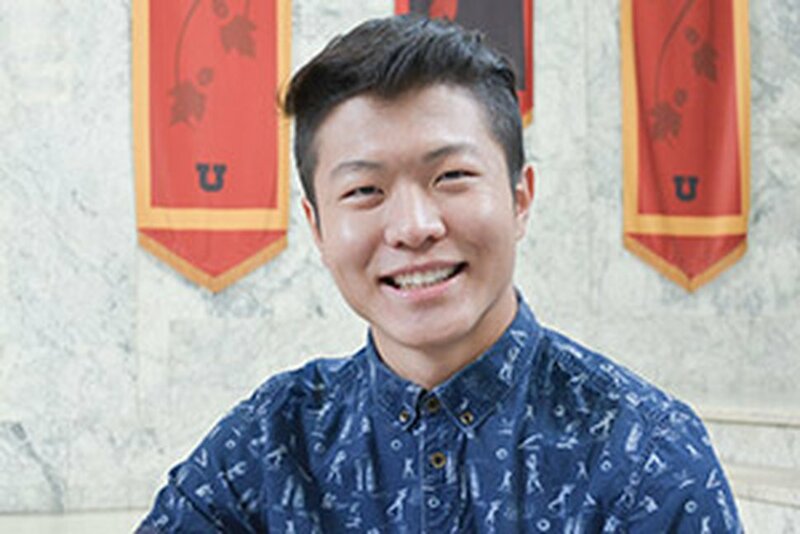 A WayUp page for Guo said he was to graduate in 2019 and was a “future engineering leader.” It says he has worked for The Church of Jesus Christ of Latter-day Saints as an interpreter and an information technology support worker.